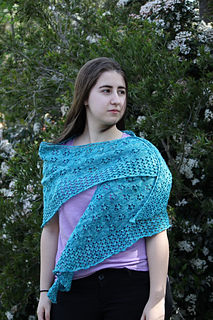 Ellysia is a generously sized crescent lace shawl, inspired by meadows of blossoming wild daisies and named for the mythical Elysian Fields. 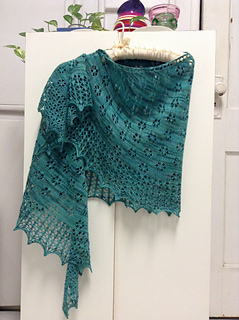 Simple daisy eyelet lace forms the body of the shawl before smoothly transforming into the flower lace edging for a soft romantic feel. 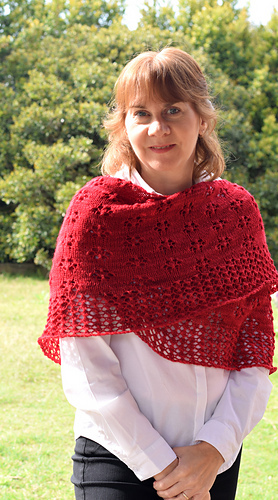 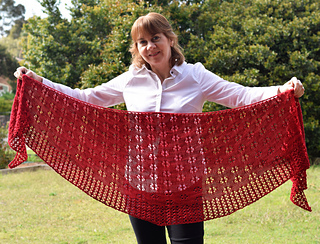 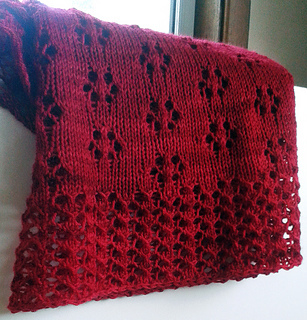 The shawl is worked from the top down with easy increases every row to create the crescent shape. 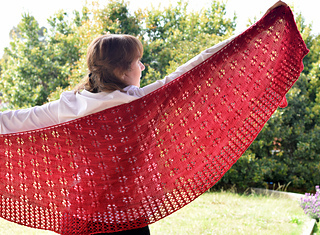 The pattern is provided with written instructions and charts for the lace.